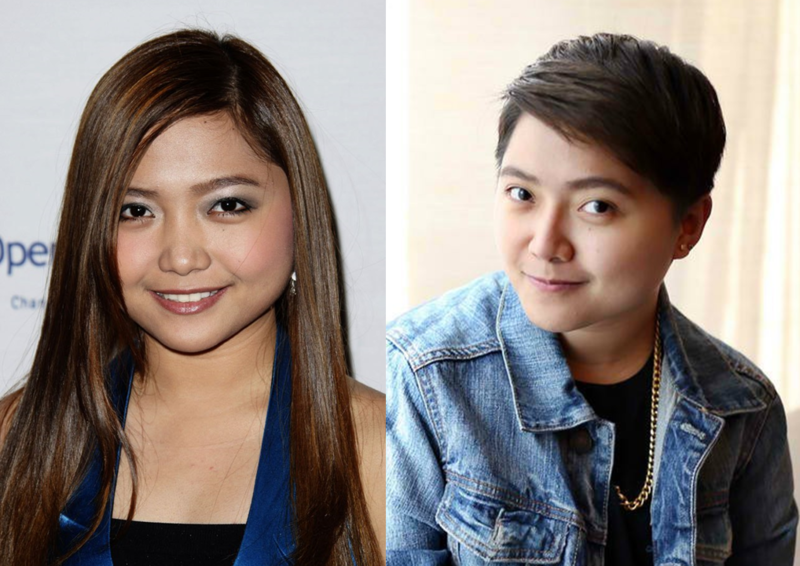 Filipino-born singer, actor and TV star Jake Zyrus was known by the name Charice Pempengco prior to 2017 when she transitioned to the male gender. As Charice, he released an eponymous studio album Charice in 2010 which was his first international album. The album reached No. 8 on the Billboard 200 and by so doing, it became the first album by an Asian solo singer to ever enter the Top 10 of the chart. His second international album Infinity was released in 2011 featuring collaborations from several world-famous music artists. Also an actor, Pempengco had a role in the hit comedy series Glee. She equally served as a judge on the Philippine version of The X Factor as well as other talent competitions. Jake Zyrus was born Charmaine Clarice Relucio Pempengco on the 10th of May, 1992. He was born and raised in the city of Cabuyao in the Laguna province of the Philippines. He was raised by his mother Racquel. His father was Ricky Pempengco. Growing up as Charice, she took interest in music from an early age and she entered as many singing contests as came his way. She took part in one of such competitions Little Big Star in 2005 where she reached the finale of the show and ultimately finished as the 2nd runner up. She became quite famous after her successful outing on Little Big Star and she appeared on several local TV shows and commercials afterward. Charice Pempengco became an internet sensation and also attained international prominence in 2007 when a series of her performances posted on YouTube garnered as much as 15 million views. Her online fame opened a wider door of opportunity for her as she was invited to perform at several notable platforms even beyond the shores of her home country. She performed at the South Korean talent show Star King, on The Ellen DeGeneres Show, The Oprah Winfrey Show, Good Morning America as well as in The Paul O’Grady Show in London. She equally performed for the then-president of the Philipines Gloria Macapagal Arroyo. Her debut EP Charice was released in May 2008 and it was a massive commercial success as it attained platinum certification in the Philipines within one year of its release. In a similar manner, her 12-track studio album My Inspiration was released in May 2009 and it was certified platinum by December of the same year. This was followed by her first international album Charice which was released in May 2010. The album entered the Billboard 200 at No. 8 and consequently, Charice became the first Asian artist to have a song in the top 10 of the chart. Charice Pempengco released a Christmas EP Grown-Up Christmas List in November 2010. Her second international album Infinity was released in October 2011 and it featured contributions from international music stars like Bruno Mars, Nick Jonas, and Jason Derulo. She also released 2 other full-length albums Chapter 10 and Catharsis in September 2013 and October 2016 respectively. Charice Pempengco grew up belonging to the Iglesia ni Cristo Christian organization, however, she was baptized into the Roman Catholic faith after she turned 18 in 2010. She had over 40 godparents at her baptism including Filipino celebrities like Charo Santos-Concio, Boy Abunda, and Kris Aquino. His father Ricky Pempengco died at age 40 in October 2011 after falling victim to a stabbing attack by a drunken man. Though they were estranged during his lifetime, Pempengco mourned his death and canceled a scheduled concert in Singapore. Pempengco was first reported to have come out as a lesbian on her 21st birthday by a Philippine newspaper. She officially came out of the closet on June 2, 2013, during an interview with Boy Abunda on the Sunday talk show The Buzz. She also reiterated this fact about her personal life during an interview with Oprah Winfrey in 2014. The singer started adopting a masculine hairstyle and fashion sense in March 2012. However, she initially denied rumors that she had plans to pursue gender transition. The singer debuted a much edgier look in March 2014 when she got a much shorter hair cut and more tattoos on her body. See Also: Carly Rae Jepsen Biography, Net Worth, Boyfriend, Age, Height, Is She Gay? In June 2017, Charice Pempengco opened up about her transgender identity and also announced that she was adopting a new name “Jake Zyrus.” He also announced that he had undergone breast removal and also commenced hormone replacement therapy. His first television appearance after making the gender transition was on the Filipino primetime TV show Tonight with Boy Abunda.